Yes, the time of the year is upon us. In a few days I will be taking a well-earned vacation. 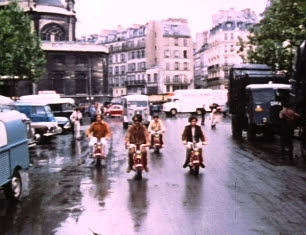 No, my family and I aren't going anywhere this year — and no, we are not going to Paris like the Monkees did for their "vacation" during the memorable "Monkees in Paris" episode of their TV show (shown in the photo here) — but happily, my wife and I won't be going to work either, so yes, it is a vacation. During my time off, I will digitize a couple of Colgems things which I will post in the future. 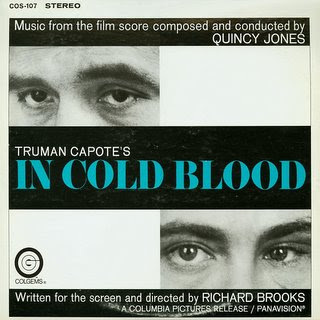 For this month's Colgems upload, I decided to post a soundtrack album, In Cold Blood. The music is by Quincy Jones. I always believed that this soundtrack perfectly described the mood of the film. Enjoy. I will upload more Colgems material on or around August 15. As most of you in the New York Metropolitan area surely know by now, the legendary WCBS-FM oldies format is returning to the airwaves as of 1:01 p.m. on Thursday, July 12, after a two-year hiatus as a Jack format station. This is great news, because the music we grew up with will be back on the airwaves. 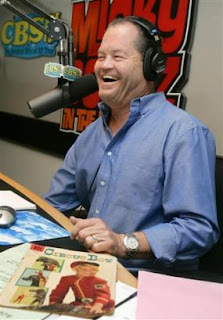 WCBS-FM played only one Colgems artist--you guessed it, The Monkees--and Micky Dolenz was one of their last disk jockeys before the Jack switch. I don't think they will play any other Colgems artists, although when WABC-AM was a music station, it did put the Lewis and Clarke Expedition in its playlist briefly. It's good to have an old friend back, and if everything goes as planned, the oldies will come back to stay this time. I haven't decided what I am going to upload for this month's entry. I could do some 45s, or perhaps a soundtrack.